The 5k is the first event of the day and will be a cool start at 7:00 am. Awards at 8:15. Tech shirts, finishers medal and food will be available for all finishers. There will be Individual awards will be (3) deep, male and female, 10-year increments for adults starting with 20-29, youth 10-19, and 9 and under. Registration will close at the end of packet pick-up on Saturday, July 21st at 5:00 p.m. NO race day registration. All race (5k course map), packet pick-up, and general information can be found on the race website. 500 meter swim, 13 mile bike, 3 mile run. Eligible athletes are those entering 9th grade through high school graduation of the current calendar year. If the event is after graduation, but before the start of the next school year you are eligible to compete. All students must show their current school identification cards to confirm their grade as of 2018. There will be (1) Overall USAT High School Team/Club Champion award for the High School or District Team/Club with the most points. Teams may be set up for multiple athlete's representing each High School, Club or District. (1) points will be awarded for each athlete representing their High School, HS Club, or School District. Individual awards will be (3) deep, male and female. Will be held on an Olympic distance course. Awards will be (3) deep for each 10-year age group, male and female, beginning with 20-29, 30-39, 40-49, 50-59 and 60 up. Awards will be (3) deep for each 1-year age group, male and female, ages 16-19. Awards will be (3) deep for each 1-year age group, male and female, ages 13-15. Awards will be (5) deep for each age group, male and female. Awards will be (3) deep for each age group, male and female. Awards with be (3) deep for each 10-year age group, male and female, beginning with 20-29, 30-39, 40-49, 50-59 and 60 up. 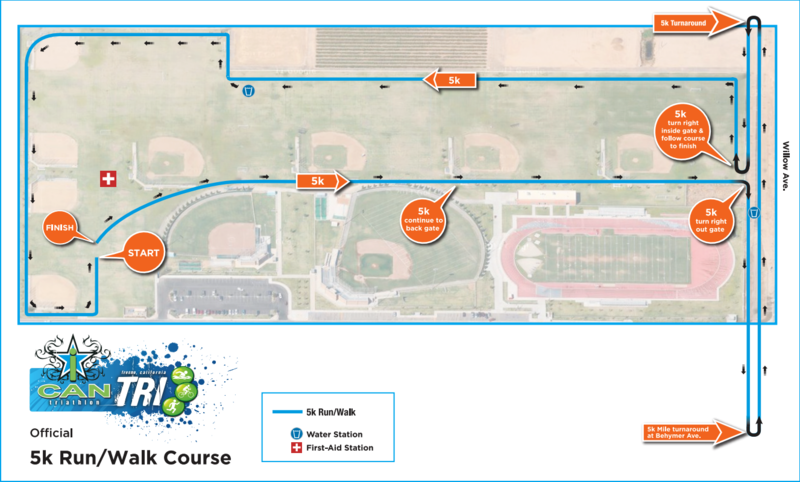 Course will follow the Sprint distance triathlon bike and run course, and will exclude the swim. Participants will be sent off for the bike in waves at the start of the adult sprint swim to allow for space on course. Course will follow the Olympic distance triathlon bike and run course, and will exclude the swim. Participants will be sent off for the bike in waves at the start of the adult Olympic swim to allow for space on course. How was iCan Tri - July?